Hot Diggity! 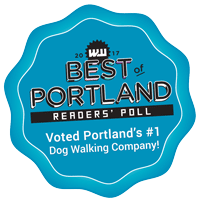 has been a cornerstone of the Portland Business community since 2001. We believe in supporting other businesses, not-for-profits, schools, and community organizations. This events calendar is a curated list of local events that support these organizations. If you have an event you’d like added to our community calendar, please send an email and we’re happy to do so. After Party 8:30 - 10:30pm! Every last Friday of the month, we have happy hour! Enjoy delicious cocktails by Lucy Brennan, while your pup enjoys treats and makes new friends. Don't miss this fun pawty!